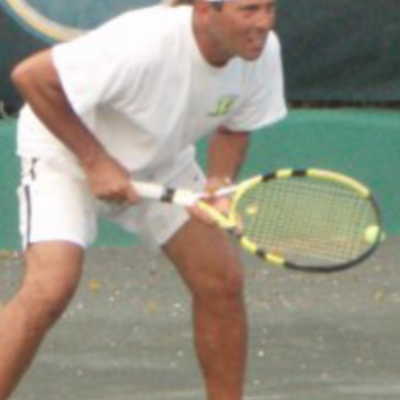 We would like to welcome Jeff G. from San Clemente , CA, to the MyTennisLessons team. We pride ourselves on bringing on not only quality coaches, but quality people as well, which is why we are so excited to have Jeff on board. If you live in San Clemente , CA, review Jeff’s qualifications, teaching experience and hobbies below to see if they would be the right pro for you. Again, we are happy to expand our tennis lesson services in San Clemente , CA, with the addition of Jeff. Sign up with Jeff G. today! I am a USPTA elite pro and independent tennis trainer in Talega – San Clemente area, Dana Point and Laguna Niguel, California. I have established myself as a top teaching professional in Southern California. I have worked at more than 25 resorts and clubs in Europe and have taught tennis around the world. Since 1981, I have worked in the United States, Dominican Republic, Bahamas, Mexico, Germany, Switzerland, Austria, Italy, Spain, Turkey and Greece. As a player, I was the 1975 South Coast Conference doubles champion at Fullerton College. From 1977-’81, I was on the All-Marine Corps tennis team, winning second place in the West Coast singles. In 1986, I played Verbands Liga Herren in Hamburg, Germany. I started teaching tennis after my service in the military. I enjoy being able to travel all over the world using my talent in tennis, meeting people of all cultures and working outside. My areas of expertise are stroke production and footwork. I enjoys fast cars, power boats, good food, wine and travel. My areas of expertise are technique, footwork and match play.